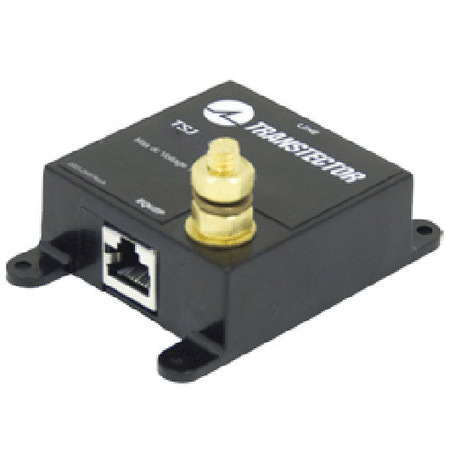 1101-990 GIG-E, Single Port, Shielded Jack - Talley Inc.
5Vdc, Shielded RJ-45 Surge Protector - Transtector TSJ GbE. RoHS complaint, lead free, data line surge protector for gigabit Ethernet shielded RJ-45 applications engineered to IEC 6100-4-5, Telecordia GR 1089 and UL 497B listed. Dimensions 2.2" x 3.2" x 1.7"